I’m going to make it in some dark grey linen that I acquired at Christmastime, and do red topstitching just like the picture of View B on the pattern envelope. I presumed the topstitching was done by machine, but it is actually hand sewn saddle stitch using embroidery floss, so I might copy that idea too. Both the pattern and fabric are stash so I don’t have to spend a cent! My dress is going to have a hemband! And I think I prefer this anyway. Although I like the simplicity of the original, I think the extra saddle stitching adds a bit of balance. I’m not generally a fan of placing design details only on the front and leaving the back plain – it often looks like cost-cutting and design compromise to me. I want this dress to be hand-washable, so I’ve put the linen through the washing machine on a warm machine wash to take care of any shrinkage. First I overlocked the ends of the linen, because we all know how much that frays, and I need more fabric not less! 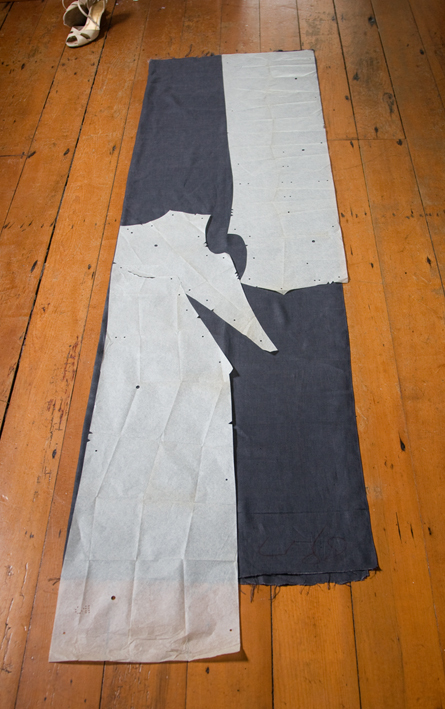 Because linen can stretch slightly and ‘seat’, I am going to line the dress with viscose lining, also preshrunk. 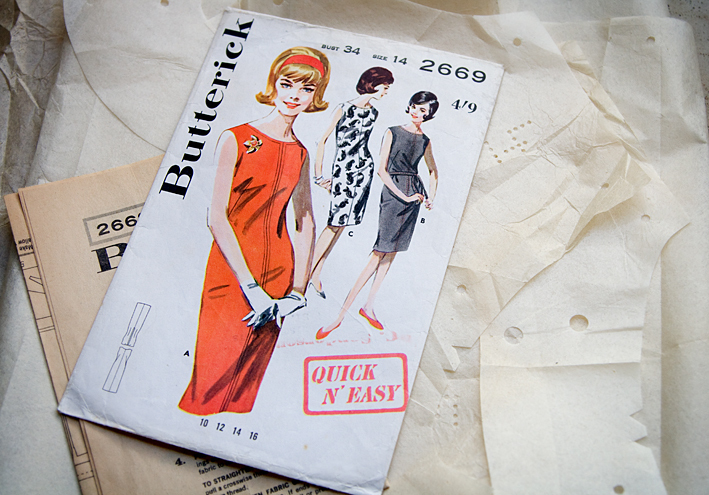 OK – now I’m off to cut my toile and whizz it up on the machine! 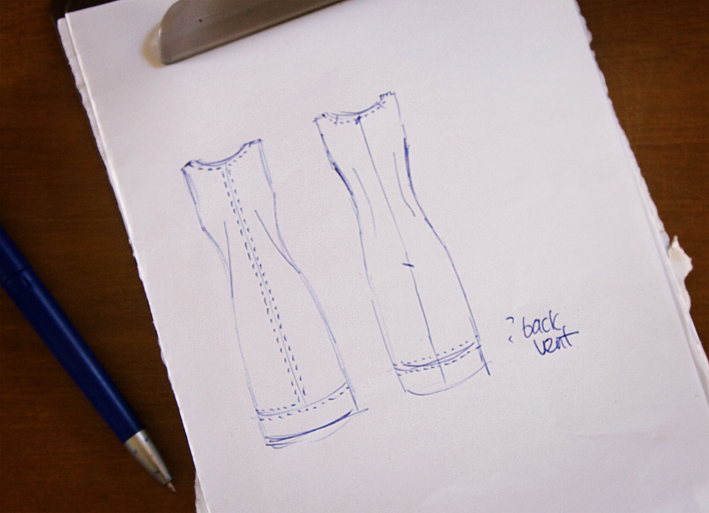 Hello Sherry, I agree with you… I hate design details on front but not back as I always think it looks cheap.I think your dress will look amazing as ever but personally, I don't need any excuse to go buy red shoes! (I do need excuses to buy nearly everything else, but so few red shoes around if I find them AND like them, they are mine!) Go to the red shoes; go to the red shoes … say in mantra fashion and go get them! and i really like the top stitching down the front seam in that pattern! Ooh lovely! And good thinking re. the hem band. Is it going to be red? I agree with the hem band. After seeing your sketch and then going back to look at the original picture, I think the original design looks a bit unfinished. I can't wait to see how this turns out! ~Tilly – I was going to cut it in the grey linen, from the wastage up the sides. But wouldn't red be striking!